Donald Trump tweeted (natch) from Japan on his Asia trip, “May God be w/the people of Sutherland Springs, Texas.” As I type this, news has broken of yet another mass shooting, this time in a small church in the tiny mid-Texas town of Sutherland Springs (described by the mayor as a “one flashing light town” with a population of less than 500 people. I was raised in such a town. Everybody knows everybody else and there are almost as many churches as people. So I know of what I speak when I talk about Conservatives and their guns, and trying to make sense of people with a Glock in one hand and a Bible in the other. Reports as of this writing are that as many as 27 people have been killed and another 24 injured. Texas Governor Greg Abbott tweeted out, “Our prayers are with all who were harmed by this evil act.” Texas Senator Ted Cruz likewise tweeted, “Keeping all harmed in Sutherland Springs in our prayers.” I doubt a single one of them probably pondered the irony for a micro-second of “praying” for the well-being of people who were just shot in a church. Damnit! “Thoughts & Prayers” aren’t enough! We need to get serious about gun control and it needs to happen yesterday! The same people who believe “Just say ‘No'” is an adequate policy response to drug abuse and teen pregnancy, and that hurricanes are God’s punishment for immorality (yet they never seem to hit Las Vegas), also seem to believe “thoughts & prayers” are an adequate response to every mass shooting… and we’ve been having quite a few of them lately. Now I’m not saying we must ban all guns. I don’t think any rational person can/would make that argument. To me, people who think we could ban all guns, confiscate every weapon and repeal the Second Amendment are no more rational than the paranoid “False Flag” gun nuts. Short of going back in time and asking the Founding Fathers for a little more clarity when writing the Second Amendment, we’re stuck with it. The genie is out of the bottle. Pandora’s Box has been opened. Pick your metaphor. The guns are out there and there’s no going back. The question then becomes, “How do we move forward?” Do we continue to do nothing… or worse, WEAKEN existing gun laws… ensuring the problem only gets worse, or do we finally get serious about Common Sense limitations on the types of weapons we continue to sell, their destructive power, and availability? Or do we finally say “Enough is enough” and stop allowing the most paranoid among us set the policy for the rest of the nation? Right after the Vegas shooting (less than a month ago), I (again) proposed the idea of taxing gun powder as a Constitutional means of getting around the Second Amendment. You may have the Constitutional right to own more guns than a Panamanian drug lord, but nowhere does it say you have a right to a cheap, uninterrupted supply of ammunition (high capacity clips). Yet, there is more we can do than just tax bullets. Like restore the “Assault Weapons” ban… particularly the ban on high capacity clips. Few details of the Texas church shooting have emerged as I write this, but there is no doubt in my mind the shooter was armed with an Assault Weapon with high-capacity clip (update: reports are the shooter was finally stopped “when he stepped outside to reload”… after killing 27 and injuring 10-20 more. That’s roughly 50 uninterrupted shots.) As I noted earlier, I grew up in a small Texas town much like Sutherland Springs, and I guarantee you at least a half dozen of those parishioners were packing. “Good guys with guns.” Problem is, no number of “good guys with guns” are a match for a nut with a semi-automatic and the element of surprise on their side. “Mass shootings” are so prevalent in this country, we feel the need to put them into categories simply to tell them apart. This latest “mass shooting” may be “the fourth deadliest mass shooting in U.S. history” (with 27, just behind Sandy Hook with 28), but it has already been sub-classified as “the deadly mass shooting… in a church. 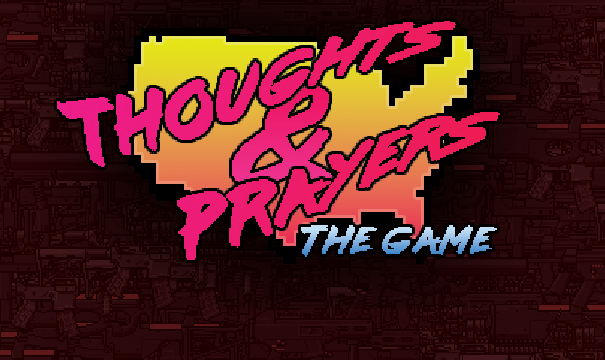 If all we do after each mass shooting is simply “pray” it doesn’t happen again, it’s going to happen again. If a mass shooting in a CHURCH of all places doesn’t highlight the worthlessness of relying on “prayer” as a strategy of dealing with continued (and escalating) gun violence, then I’m not sure what will. Post-script: Before news of the Sutherland Springs shooting broke, I was preparing to write about DNC Chairwoman Donna Brazile’s “revelation” that they “colluded” with the Clinton campaign (and defiantly telling her critics to “go to hell”), and the fact that readers of this Op/Ed (and most Sanders supporters) were already well aware of this fact when I wrote well over a year ago my June 6th & June 20th, 2016 Op/Eds regarding DNC misbehavior.